I recently saw an original Clavinet I for sale at an auction in Corsham; having already purchased a Clavinet D6 this year I could only put a low bid on the instrument and was not successful. The low bid was also slightly influenced by my inspections of the instrument, for which I am now more knowledgeable having almost completed the restoration of my D6 model. It was impossible to inspect the internals due to its fixed construction, but I could tell that the action needed a fair bit of regulation work and without seeing the key bushings, it was difficult to assess whether replacement bushings would be needed. 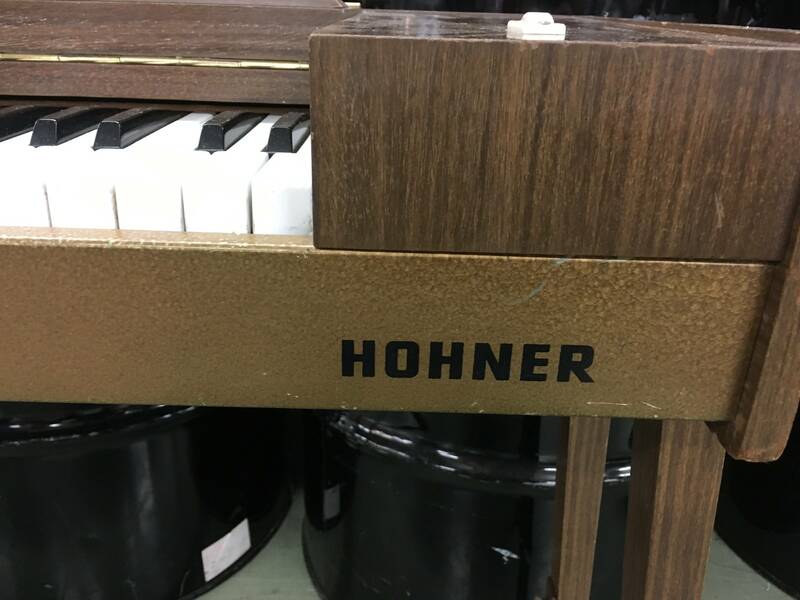 The hammer tips are a common starting point for any Clavinet restoration, as the original material used easily degrades into unplayable pads that often stick to the strings. Again, without being able to open up the instrument it would have been a bit of a gamble. The strings were also an unknown quantity, as they corrode with time just like guitar strings. As I understood this original instrument from the 1960’s had been sat in a home doing nothing for at least a decade, so it would have definitely needed a new set to perform at its full potential. The electrics were functioning with slight crackle, but nothing a bit of testing and soldering cannot fix. Cosmetically however the instrument looked good and this Clavinet I would undoubtedly have made a great museum piece, but would have needed some extra work and TLC to get it playing well. 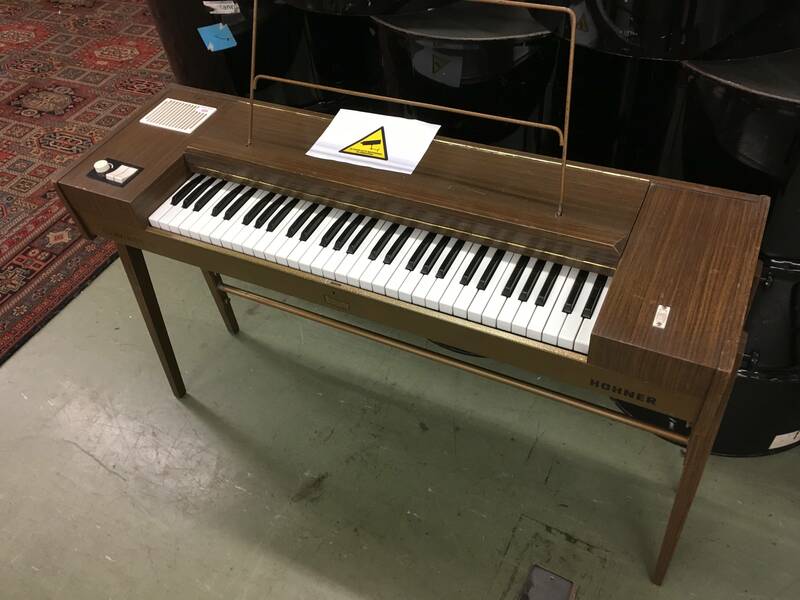 The Clavinet I was released in 1964 by Hohner, a musical instrument company based at the time in Trossingen, West Germany. The Clavinet I was a lovely example of 1960’s retro design, complete with wood veneer over the whole casing. Its fixed design and furniture blending appearance gives some insight into the original intention of the Clavinet to be a home-bound instrument to practise classical music. Later incarnations from the Clavinet C to the final E7 model were specifically designed for road use, featuring heavy duty hard cases to cover the delicate harp and keyboard action. 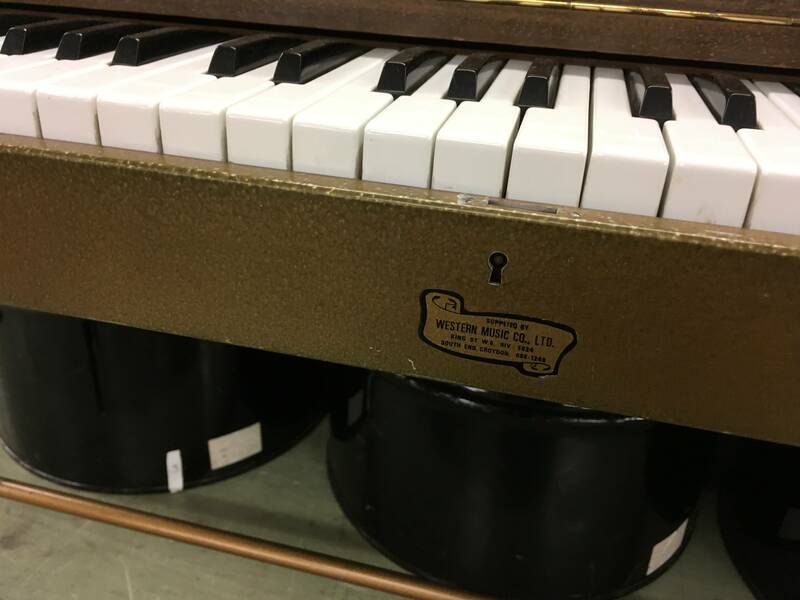 Whereas the Clavinet I has solely an internal speaker and no output, the latter models from the Clavinet C onwards had a line out which could be fed into the player’s favourite amplifier, or potentially straight into the PA.
On a side note, there was a label embossed on the front of the instrument reading ‘supplied by Western Music Co. Ltd’ with one of the retail addresses located on South End, Croydon. By a strange coincidence I used do band rehearsals at a studio in South End, Croydon! I tried to do some online research to find more about the company and the possible number on South End, however all I found was a Canadian music publishing company of the same name which did later expand into the retail of musical instruments. It supplied to the British music publisher Novello & Co, but beyond that I couldn’t say with certainty if this was the same company that retailed this Clavinet back in the 1960’s. Nice to see people are still putting effort into refurbishing old instruments! Any information about repairing a Clavinet II? Does a Vintage vibe refurb kit do the job for the older models like Clavinet I and II? I wanna a know if it’s possible to repair a totally wrecked Clavinet II..
Hi, the refurb kit you mention has new set of strings, clavigel dampener and hammer tips. There is optional bushings too. 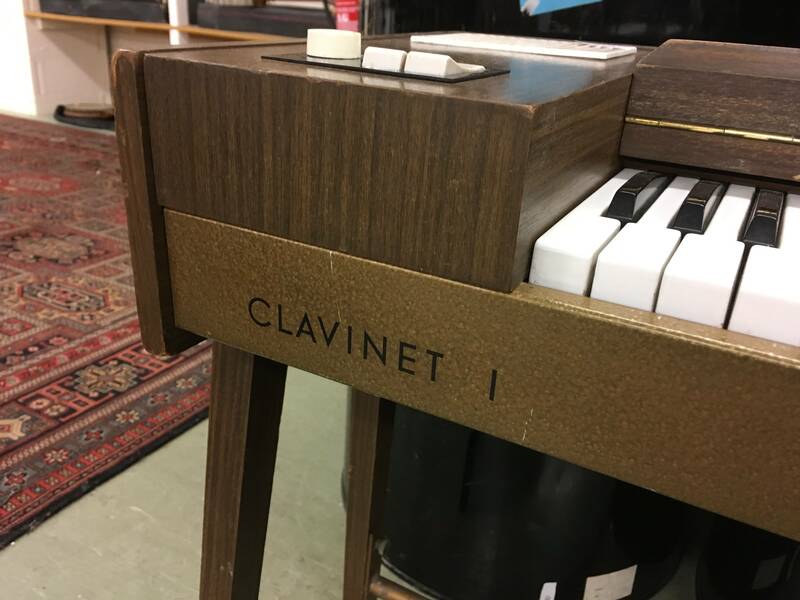 There are several steps to restoring a clavinet, and whether or not you need to do them all depends on the condition of it. Usually the bear minimum for a restoration is replacing strings and hammer tips, as these parts are the ones that deteriorate the most over several decades. I can’t comment on the clavigel dampener, as I just used wool yarn like on the originals, but in theory the clavigel should work well. Replacing parts is just part one of your restoration; you will need to spend a good while on key regulation which is essential for smooth playing, plus lubricating the bushings. If yo have lots of sticking keys it will most likely by the key jamming against the bushing. There’s quite a bit to explain! message me if you have any other queries and I’ll pass on whatever I know.